M/s Yeshwant Gramin Vs. The Assistant Provident Fund Commissioner and Ors. Respondent: The Assistant Provident Fund Commissioner and Ors. 1. The present civil appeal arises from the judgment and final order passed by the High Court of Judicature at Bombay, Nagpur Bench dated 17th January, 2012 in Writ Petition No. 4013 of 2011. The High Court has dismissed the aforesaid writ petition filed by the appellant, which had assailed the order of the Employees Provident Fund Appellate Tribunal (for short ‘Tribunal’) dated 8th April, 2011 whereby it was held that the appellant is deemed to have defaulted in depositing the provident fund contributions of 16 (sixteen) of its part-time employees. The appellant is a registered society under the Societies Registration Act, 1860 and Bombay Public Trusts Act, 1950 and runs 29 (twenty nine) schools and junior colleges in the Wardha District, Nagpur. Out of which, 28 (twenty eight) schools and colleges purportedly received 100% grant-in aid from the State Government. Between 1996 and 1997, due to administrative exigency 16 part-time librarians were appointed to some of the appellant’s colleges, with the permission/approval of the State Government. These librarians worked for lesser hours as opposed to the working hours put in by regular, full-time employees. The appellant contends that the entire process of appointment and approval was monitored and supervised by the State Government. Further, the appellant did not possess any direct control over the payment of or deductions to the salaries of its employees. It is done by the State Authorities. On 5th May, 1998, the appellant forwarded a bill of one of the part-time librarians to the Education Officer, with a request to deduct the provident fund. This request was declined vide a letter dated 19th November, 1998, with a direction not to deduct provident fund contributions of such part- time employees. Subsequently, on 5th March, 2004, the Director of Education issued a letter clarifying that the contributory provident fund scheme was not applicable to such part-time employees. In view of the aforesaid communications, the appellant had reason to believe that it was not supposed to deduct and/or deposit provident fund contributions of its 16 part-time employees. On 6th October, 2005, the officers of Respondent No.1 visited one of the schools of the appellant and sought details of the employees and payments made on their behalf vis-à-vis provident fund contributions. The appellant submitted its response to the aforesaid query vide its letter dated 18th October, 2005, wherein the appellant mentioned that as per the law, it was not required to deduct provident fund contributions of the concerned part-time employees. The appellant, however, received a summons from Respondent No.1 dated 23rd May, 2006, to appear in connection with failure to remit provident fund dues of its employees. Further correspondence in that regard ensued between the parties and adjournments were taken in the matter. Ultimately, Respondent No.1 heard the matter and passed an order dated 1st August, 2007, holding that the appellant was liable to pay a sum of Rs.16,89,796/- as outstanding provident fund contributions. The appellant then filed a review application dated 14th September, 2007 against the aforesaid order, on the ground that Respondent No.1 had failed to appreciate certain material submissions and objections raised at the time of hearing. Respondent No.1 dismissed the said review with a one-page order, without granting a hearing. During the abovementioned proceedings, 3 (three) out of 16 part-time librarians of the appellant were regularized w.e.f 29th September, 2007. Another librarian was regularized w.e.f. 29th September, 2009. This was done with the approval of the State Authorities. Aggrieved by the aforesaid order passed by Respondent No.1, the appellant filed an appeal before the Appellate Tribunal, which rejected the appeal vide its order dated 8th April, 2011 inter alia on the ground that there was no difference between full-time and part-time employees and thus the appellant was bound to deduct/pay the provident fund contributions in respect of the part-time employees. Respondent No.1 thereafter issued a demand notice dated 10th May, 2011 to one of the schools of the appellant for payment of the due amount by 25th May, 2011. That was followed by a show cause notice as to why a warrant of arrest be not issued by Respondent No.1, dated 23rd June, 2011. The appellant replied to the said show cause notice vide its letter dated 8th July, 2007, asking for one week time to pay the amount as demanded. In the meanwhile, the appellant also filed Writ Petition No.4013 of 2011 before the High Court, challenging the order dated 8th April, 2011 passed by the Appellate Tribunal. The High Court stayed the order and directed the appellant to deposit Rs.4 lacs in court, which it duly complied with. Ultimately, on 17th January, 2012, the High Court was pleased to dismiss the said writ petition. Every employee (not being an employee who has opted for pension) of an aided or unaided school working on a full time basis or every employee employed on part-time basis in more than one school run by the same Management and doing full-time load of work in these schools, shall subscribe to the Contributory Provident Fund under the Contributory Provident Fund Rules (Bombay) as in force from time to time. 4. Mr. Satyajit Desai, Ld. Counsel appearing for the appellant, first submits that the schools of the appellant are receiving grant-in aid from the State Government. The appellant receives 100% grant-in aid and has no separate source of income. Further, the 16 part-time employees in question were appointed with the permission and approval of the State Government. The appellant does not even have direct control over the payment of and deduction from its employees’ salaries. In fact, even the salary of the concerned employees is directly issued by the State Education Officer and deposited in their respective bank accounts. 5. Mr. Desai then submits that in terms of Section 16(1)(b) of the Central Act, the said Act has no application to an establishment which inter alia is under the control of the State Government, which, as submitted above, is clearly the case. The appellant’s schools are governed by the State Act (and, by extension, State Rules) which over-rides the Central Act by virtue of being a special statute. Further, the appellant which had employed the part-time employees is an establishment registered under the State Co-operative Societies Act. The schools in which the part- time employees were employed, have engaged less than 50 (fifty) persons who were working without the aid of power. Consequently, the Central Act has no application to such establishment even in terms of Section 16(1) (a) of that Act. 6. With regard to the status of the employees, Mr. Desai submits that regardless of whether the appellant’s employees are full time or part time, to be eligible for provident fund as set out in Rule 20 of the State Rules, they must be doing full time load work. In the present case, the 16 part-time employees were assigned work only for around 18 hours a week i.e. from 10:30AM to 2:00PM, as against the normal work load of 30 hours per week for full time or regular employees. In other words, they were not doing full time work load and thus not covered by the Provident Fund Scheme operated under the State Act. Consequently, the part time employees are not eligible to receive the benefit of the provident fund scheme framed by the State. 7. Mr. Desai then submits that the State Government resolution dated 3rd August, 2006, directed that all part-time librarians who had completed 5 (five) years in private schools, such as that of the appellant, were to be upgraded and made full time employees. This was further reiterated by the letter of the Education Officer dated 30th March, 2007, whereby the appellant was directed to implement the aforesaid resolution. The fact that now the full-time employees were given provident fund benefits by virtue of being regularised, itself shows that the part-time employees were not entitled to provident fund benefits. The State Government therefore, did not make any deductions from their salaries towards provident fund employees’ contribution. 8. Without prejudice to any of the aforesaid arguments, Mr. Desai also submits that the appellant was always willing to deduct the provident fund contributions from the salary of its part time employees and had even written to the concerned authority about the same but was categorically asked to refrain from doing so by the Education Officer (Middle) Zilla Parishad, Wardha vide its letter dated 19th November, 1998. 9. In reply, Mr. Vijay Prakash, learned counsel appearing for Respondent No.1, submits that the scheme of contributory provident funds (CPF) under the provisions of the State Act and the State Rules is not applicable to the part-time employees of the appellant. Rather, it is the employees’ provident funds (EPF) scheme framed under the Central Act which is applicable. 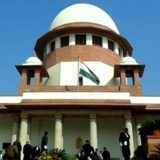 Mr. Prakash buttresses his argument by submitting first that the Central Act prevails over the State Act by virtue of the 1982 notification which clearly brings educational institutions and, by extension, the benefit of provident fund to the employees in such institutions, under the ambit of the Central Act. Secondly, an establishment can be excluded from the purview of the Central Act only if it belongs to/is under the control of the State or Central Government and if its employees are entitled to CPF/pension benefits. 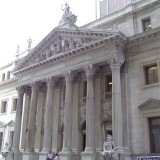 Even if it is accepted that the appellant is controlled by the State Government, the fact remains that the 16 part-time employees of the appellant were not entitled to CPF/pension benefits by virtue of Rule 20 of the State Rules itself, which clearly excludes them from receiving such benefits. Admittedly, the employees in question are part-time employees. The Rule relied upon by the appellant in its favour actually goes against it. Thus, the appellant’s schools cannot be excluded from the purview of the Central Act. 10. Mr. Vijay Prakash would then submit that the Central Act does not distinguish between part-time and full-time employees of an establishment. An employee of such an establishment has to fit into the definition of an employee as per the Central Act and not any other Act. The appellant’s argument that it has part-time employees, who are not liable to have their provident fund deducted, will hold no ground as the Central Act makes no distinction between such so-called part time employees and regular employees. 11. Mr. Vijay Prakash submits that the appellant’s stance, that it was willing to extend the provident fund benefits to its employees but was restrained by the State Education Officer, is without merit. The State Education Officer is only concerned with CPF scheme and not with EPF scheme. Admittedly, CPF is inapplicable to the part-time employees of the appellant, and thus there is no question of the State Education Officer preventing the appellant from deducting EPF from its part-time employees’ salaries. Infact, the High Court in the Impugned Judgment clearly records that the appellant ought to have taken steps to resolve the issue with the State Education Officer by resorting to appropriate remedies, which it has failed to do. 12. Mr. Kunal Cheema, learned counsel appearing on behalf of the State of Maharashtra, submits that Rule 20 of the State Rules is not applicable to part-time employees unless they work in more than one school run by the same management and are doing full time load of work in those schools. If a school is fully aided and if Rule 20 is applicable to such part-time employees, only then will the provident fund be deducted by the State Government as per the State Scheme. 13. Mr. Cheema then submits that as per Government Resolution No.CCPS-1005/126/SER-4 dated 31st October, 2005, the Government has introduced a new scheme titled ‘Defined Contribution Pension Scheme’, to replace the existing pension scheme applicable to government servants recruited on or after 1st November, 2005. As per the resolution, the Government has inter alia decided that the present pension scheme and the existing General Provident Fund Scheme will not be applicable to government servants recruited on or after 1st November, 2005 in the State Government. 14. Mr. Cheema finally submits that as regards the 16 part-time employees of the appellant, the said employees cannot be employed in a permanent post by virtue of being part-time employees. Thus, the State Government cannot deduct/pay the provident fund dues of such employees as they are not permanent employees. (1) This Act may be called the Employees’ Provident Funds and Miscellaneous Provisions Act, 1952. (4) Notwithstanding anything contained in sub-section (3) of this section or sub-section (1) of section 16, where it appears to the Central Provident Fund commissioner, whether on an application made to him in this behalf or otherwise, that the employer and the majority of employees in relation to any establishment have agreed that the provisions of this Act should be made applicable to the establishment, he may, by notification in the Official Gazette, apply the provisions of this Act to that establishment on and from the date of such agreement or from any subsequent date specified in such agreement. 16. On a plain reading of this provision, it is evident that the Central Act applies to the establishments referred to therein. In the present case, the appellant’s establishment may fall within the purview of “other establishment” referred to in sub-clause (b) of Section 1(3). It is indisputable that the Central Government in exercise of the powers conferred by clause (b) of sub-Section (3) of Section 1 of the Central Act has published a Notification being No.S.O.-986, dated 19.02.1982 on 06.03.1982, so as to include all the educational institutions in the category of “any other establishment”, namely; University; College (Whether or not affiliated to a University); School (Whether or not recognized or aided by the Central or a State Government); any scientific institution; any institution in which research in respect of any matter is carried on; and any other institution in which the activity of imparting knowledge or training is systematically carried on. 17. A conjoint reading of Section 1 of the Central Act with the aforesaid notification, makes it clear that the Central Act would apply to all the colleges and schools, subject to the provisions of Section 16 of that Act. 18. The question then arises is: whether the appellant school is an establishment covered by any one of the excepted category specified in Section 16 of the Central Act. The appellant has invoked clause (a) as well as clause (b) of Section 16 (1) of the Central Act. As regards the argument hinging on clause (a), it proceeds on the premise that the appellant’s school (in which 16 part-time employees were working), had employed less than fifty persons and working without the aid of power. This argument, in our opinion, cannot come to the aid of the appellant. Inasmuch as, the appellant is running 29 schools/colleges and has employed around 1151 permanent employees. Section 2A of the Central Act predicates that where an establishment consists of different departments or has branches, whether situate in the same place or in different places, all such departments or branches shall be treated as part of the same establishment. In other words, the fact that the appellant has employed less than 50 permanent employees and who are working without the aid of power in the school in which the 16 part-time employees were also working, will not take the matter any further. We find that the appellant has neither pleaded the material facts nor adduced any proof, so as to rebut the presumption stipulated in Section 2A of the Central Act – that all the schools and colleges run by the appellant were part of the same establishment. The fact that the appellant is a Co-operative Society registered under the State Co- operative Societies Act by itself will not extricate the appellant from the application of the Central Act. 19. The fact that the appellant is not falling within the ambit of clause (a) of Section 16(1), however, can be no impediment for the appellant to peruse the argument regarding exemption by relying on clause (b) of Section 16(1) thereof. We say so because, the excepted categories specified in Section 16 are mutually exclusive. They are separated by the word “or”. Sub-clause (b) of Section 16(1) is an independent excepted category. It is attracted to any other establishment belonging to or under the control of the Central Government or a State Government “and” whose employees are entitled to the benefits of contributory provident fund or old age pension in accordance with any scheme or rule framed by the Central Government or the State Government governing such benefits. These twin conditions are required to be satisfied by the concerned establishment, seeking exemption from the provisions of the Central Act. In the present case, the employees working in the concerned schools/colleges of the appellant are covered by the contributory provident fund scheme framed by the State Government, subject to eligibility. The second condition required for seeking exemption under the Central Act is thus fulfilled. “29. In respect to the contention of the respondent that the establishment belonging to or under the control of the Central Government or a State Government, it was submitted that the establishments must either be (a) belonging to, or (b) under the control of the Central Government or the State Government. In our view, the two words used in the said section have different connotations. The words “belonging to” signify ownership i.e. the Government-owned institutions would be covered under the said part and the words “under the control of” signify control other than ownership since ownership has already been covered under the words “belonging to”. It must also be noted that the two words are separated by the word “OR” and therefore these two words refer to two mutually exclusive categories of institutions. While the institutions “belonging” to the Central or the State Government would imply the control of the State but the privately- owned institutions can be “under the control of” the Government in various way. (a) Under Section 3 of the State Act, the State Government grants recognition to the “non-government educational institutions”. It was submitted that recognition by the State is of prime importance for running and operating an educational institution. The said recognition can be withdrawn on the failure of the institution to abide by the terms and the conditions of the grant of recognition. (b) Under Section 7 of the State Act, the State Government grants aid to only recognised educational institutions. The aid given by the State can be used only for the purpose for which the aid has been given. Under Section 8, the institutions are thereafter required to keep accounts in the manner prescribed by the State. It was submitted that in such manner, the State exercises financial control over the institutions. (c) Under Section 9, it has been prescribed that the institutions shall be governed by a managing committee and Section 10 of the Act empowers the State to take over management of the institutions “whenever it appears to the State that the Managing Committee has neglected to perform the duties assigned to it by or under the Act or the rules made thereunder. (d) Chapter V of the Act relates to properties of the institutions and the manner in which the institutions can manage the properties of the institution. It was submitted that under Section 13 of the Act, the institutions have to apply and get the approval of the competent authority set up under the said Act before transferring the management of the institution. Under Section 15, restrictions have been placed on the transfer of immovable properties of the institutions. (e) Section 14 of the Act prohibits closure of any institution or its class or the teaching of any subject therein without notice in writing to the competent authority. It was submitted that the Government thus has functional control over the institution. (f) Chapter VI of the State Act deals with recruitment and removal, etc. of employees. Their salary, conditions of service, provident fund, code of conduct are all prescribed under the Act. The Act further prescribes setting up of a tribunal for resolution of the disputes whose decision is final and binding on the parties. 31. The State Government also exercises administrative control over the institution. Section 17 deals with the manner of recruitment and Section 18 deals with the procedure by which the employees may be removed or dismissed or reduced in rank. Section 28 permits the State Government to prescribe the code of conduct of the employees and Section 29 enjoins upon the institutions not to give to its employees a pay lesser than the scales of pay and the allowances paid to similar categories of the State Government. 32. In our view, the State Act is a complete code in itself with regard to the educational institutions and the State Government exercises substantive control over the institutions even though the institutions are not “owned” by it. The word “control” has not been defined under the EPF Act, 1952. Section 2(19), 2(20) and Section 2(21) of the State Act, are indicative of the fact that the State Government grants recognition to the Primary Schools and Private Schools in the State. Under Section 4 of the State Act, the State Government also has the power to make Rules governing the terms and conditions of service of employees, including minimum qualification for recruitment and the procedure to be followed thereof, duties, pay, allowances, post-retirement and other benefits, other conditions of service of employees of private schools and for reservation of adequate number of posts for backward classes. Additionally, the State Authorities are empowered to continually monitor that the management of the school is fulfilling the prescribed terms and conditions of service of its employees and including to issue directions to the Management for that purpose. Under Section 4A of the State Act, the Director Education has been empowered to issue directions in relation to the inquiries against the employees regarding alleged misconduct, misbehavior or moral turpitude of an employee. Section 5 postulates the obligations of the management of private schools such as to fill in the permanent vacancy in a private school in the manner, as may be prescribed by the Competent Authority. Under Section 16 of the State Act, the State Government has the power to make rules governing the duties of employees of private schools and about their Code of Conduct and disciplinary matters. This is a form of administrative control. The State Rules deal with gamut of matters relating to service conditions of the employees and the manner in which it is to be adhered to by the management, in respect of which the management is accountable to the Competent Authority of the State to report compliance and including to adhere to the directions issued by the authority in that regard. The Rules also specifically deal with the facility of Pension Provident Fund and other matters to be extended to every employee working on a full time basis or on a part-time basis but doing full time load of work. Besides the provisions of the State Act and the Rules framed thereunder, the schools recognized and receiving grant-in aid from the State Government have to fulfill additional conditions, as are specified in the grant-in aid scheme and the Maharashtra Secondary School Code applicable to such schools. As the grant in aid can be used by the school only for the purpose for which it has been granted and that the school is required to maintain and submit proper accounts in the manner prescribed by the State, is also indicative of financial control of the State over such schools/colleges. The provisions in the Secondary School Code also empower the State Government to take over or transfer the management of the institution. Besides the State Authorities have to oversee that the management is making payment of proper salary and allowances as specified. The Secondary School Code, which is a compendium of the executive instructions and orders, also deals with matters concerning recognition, organization and management of schools; staff service conditions, records and inspection; records, registers and inspection of schools and hostels; and grant in aid etc. The provisions regarding grant in aid deal with matters of salary/non salary grant; building grant; and other grants. Stipulations in respect of these matters are indicative of financial control exercised by the State over such institutions. Similarly, Chapter III deals with staff service conditions, records and inspection provides for matters relating to maintenance of adequate staff; conditions of service of employees; and rules of discipline and leave. These provisions are also indicative of administrative control exercised by the State over the institutions. All this is in addition to the incipient requirement of obtaining recognition from the State before starting any school within the State or for that matter commencing additional sections and increasing the intake capacity of students, as the case may be. 22. Suffice it to observe that the State Act, the Rules made thereunder and the provisions of the Secondary Schools Code are a complete code in themselves with regard to the educational institutions and indicative of the extent of exercise of substantive control by the State Government over such institutions, whether owned by it. The State Government has the power of superintendence and the authority to direct, restrict or regulate working of the educational institutions. It necessarily follows that the establishment of the appellant, which in this case is 100% grant-in aid schools in which 16 part-time employees were working, is under the control of the State Government and thus would fulfill even the first condition of Section 16(1) (b) of the Central Act. 23. As we have held that the establishment of the appellant fulfills the twin conditions specified in Section 16 (1) (b), it must follow that the same is exempted from the application of the provisions of the Central Act. In the present case, however, it has been found by the authority concerned and the Tribunal, that the 16 part-time employees working in the establishment of the appellant were not covered by the State CPF Scheme applicable to the other permanent employees of the establishment. Inasmuch as, Rule 20 does not cover the part-time employees working in the school, in case they are not doing full time load of work. True it is that the said finding of fact cannot be over turned. Even so, is it possible to uphold the decision of the authority as confirmed by the Tribunal and the High Court – that the appellant is liable to pay towards the Provident Fund under the Central Act in respect of its part-time employees? Intrinsic in that direction, is that the provisions of the Central Act are invoked against the establishment of the appellant. That is impermissible. As aforesaid, Section 16 of the Central Act makes it abundantly clear that the provisions of the Central Act will have no application to the establishment, if covered by one of the excepted category provided therein. Notably, the exemption is for the establishment as a whole and for all purposes, from the application of the Central Act. Once the establishment is covered by the excepted category specified in Section 16, to get exemption, it is incomprehensible that the provisions of the Central Act can be invoked against such establishment on the specious reasoning that few (16 in this case) part-time employees working thereat were not covered by the CPF Scheme of the State Government, as applicable to rest of its employees. 24. It is not possible to countenance a situation that although the establishment enjoys exemption from application of the provisions of the Central Act, is still liable to be proceeded in respect of its few (16) part-time employees. That would lead to an incongruous approach, not envisaged by the Central Act. Taking any other view would result in rewriting of the provisions of the Central Act to mean that although the establishment is exempted from the application of the provisions of the Central Act, yet it would be open to the central authorities to proceed against such establishment in certain situations. In our opinion, once the establishment qualifies for exemption of application of the provisions of the Central Act, there is no way that the authorities under the Central Act can exercise authority over it or call upon the establishment to comply with the provisions of the Central Act, unless the exemption of the establishment is withdrawn or lifted de jure. Section 16 of the Central Act does not envisage a concept of partial exemption of application of the provisions of the Central Act in respect of employees, but the exemption operates qua the establishment for all purposes. 25. In the present case, the appellant is running 29 schools/colleges and is receiving 100% grant-in aid from the State Government in respect of 28 schools/colleges. The employees working in the said schools of the appellant have been employed with the permission and approval of the State Government and are governed by the State CPF Scheme. The entire process of appointment has been strictly monitored by the State Government. Additionally, the appellant has been submitting pay bills of its employees to the Education Department which directly deposits the salaries of such employees into their bank accounts. At the relevant time, the appellant had employed around 1151 employees who were covered by the Contributory Provident Fund Scheme framed by the State Government for the employees of the private schools (except the 16 part-time employees who were not doing full time load of work). The appellant had engaged those 16 part-time employees with the permission and approval of the State Government. It can be safely presumed that the State Government was fully conscious of the fact that those part-time employees will not be entitled for the benefits of CPF Scheme of the State. In other words, the substantial number of employees of the appellant if not all of them, around 1151 employees, were covered by the contributory provident fund scheme of the State Government applicable to private schools governed by the provisions of the State Act and the Rules made thereunder. Just because the 16 part-time employees working in the appellant’s school were not eligible for the benefits of the State CPF Scheme, the exemption status of the establishment of the appellant acquired under Section 16 of the Central Act, will not cease or stand withdrawn automatically. 26. Once an establishment is covered under any one of the excepted category under Section 16 of the Central Act, the officials empowered by the Central Act will have no authority to proceed against such establishment; and more so on the ground that a miniscule number of employees (16 part-time employees) working in the establishment were not eligible for the benefits under the State Contributory Provident Fund Scheme governing the rest of the regular employees of the establishment. 27. Having said this, we must hold that initiation of action of recovery by the official(s) of Respondent No.1 against the establishment of the appellant, which was otherwise exempted from application of the provisions of the Central Act is wholly without authority of law. The appellant had placed reliance on the case of Sanatan Dharam (supra), before the Tribunal. But neither has the Tribunal nor the High Court considered the same. The Tribunal, however, chose to rely on the decision in the case of The Shamrao Vithal Co-operative Bank Ltd. Vs. Kasargod Pandhuranga Mallya. This decision has been duly considered and distinguished in the case of Sanatan Dharam (supra), as can be discerned from paragraph 33 of the reported decision. 28. Be that as it may, for the reasons alluded hitherto we have no hesitation in allowing this appeal and set aside the decision of the High Court; and also the entire action of the authorities under the Central enactment for having initiated recovery against the concerned school run by the appellant by invoking the provisions of the Central Act, which had no application. 29. Accordingly, the appeal is allowed in the above terms with no order as to costs. Tags: CIVIL Appeal No. 721 of 2013Dipak Misra A.M. Khanwilkar Mohan M. ShantanagoudarM/s Yeshwant GraminThe Assistant Provident Fund Commissioner and Ors.